Our Perryville staff is Joyce Cooley, RN and Board Certified Hearing Instrument Specialist, Katie Isriggs, Hearing Instrument Specialist, Marilyn Berkbuegler, who handles too many jobs to list, and Beth our PR and Marketing Specialist. Our Farmington location is staffed by Cindy Bradley, who is a Board Certified Hearing Instument Specialist, Janet Stewart who keeps Cindy halfway sane. 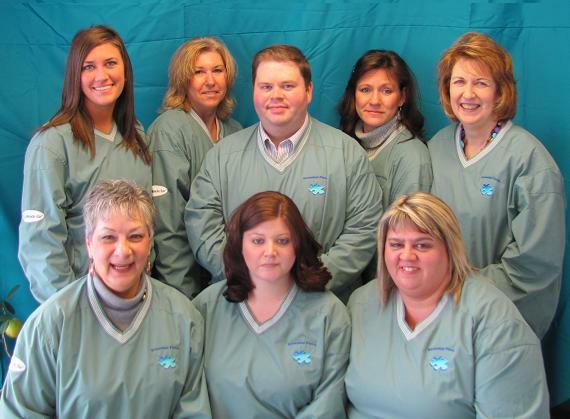 The Cape Girardeau office is staffed by Kyle R. Griffin, A Board Certified Hearing Instrument Specialist, and Barbara Kirn, who we all know is the real boss.